When Jesse and Bessie (Becky), Littleton moved to Corning, New York from Ann Arbor, Michigan in 1913, I’m fairly sure they had no idea their names would be tied to a revolution in bakeware that would span the century. Jesse Littleton was a young physics professor at the University of Michigan when Eugene Sullivan hired him to be a part of the first formal laboratory at Corning Glass Works. Corning had been collecting scientists as consultants for years, earning the company the local nickname, “Smokestack University.” But Sullivan’s vision was to create a permanent brain trust of scientists from different disciplines to spark innovative discoveries in glass manufacture. Littleton’s first task as a smokestack university professor was to help create a new product from the thermal-shock resistant NONEX glass Corning had successfully developed for the American railroad companies. Most Pyrex fans know the near-mythological story that ensued: Jesse brought a sawed-off NONEX battery jar home for his wife, Becky, to try for baking. She made a sponge cake in this glass, thus demonstrating the potential for a glass bakeware product line which was to become Pyrex. The truth is more complex, of course, involving many more people and many more experiments with NONEX glass. But there isn’t any doubt that Becky, and especially Jesse, were important players in the development of the Pyrex product line. 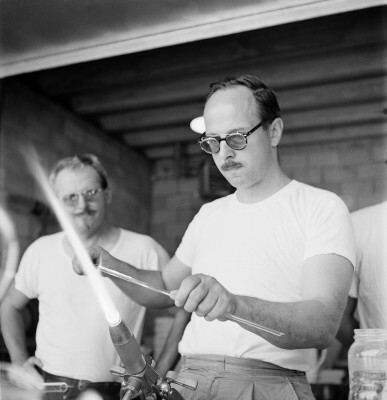 Jesse oversaw the development of aluminosilicate glass (Flameware) and advocated for the establishment of a test kitchen over a decade before it became a reality. Jesse at Tulane University where he and Bessie met. (1907. 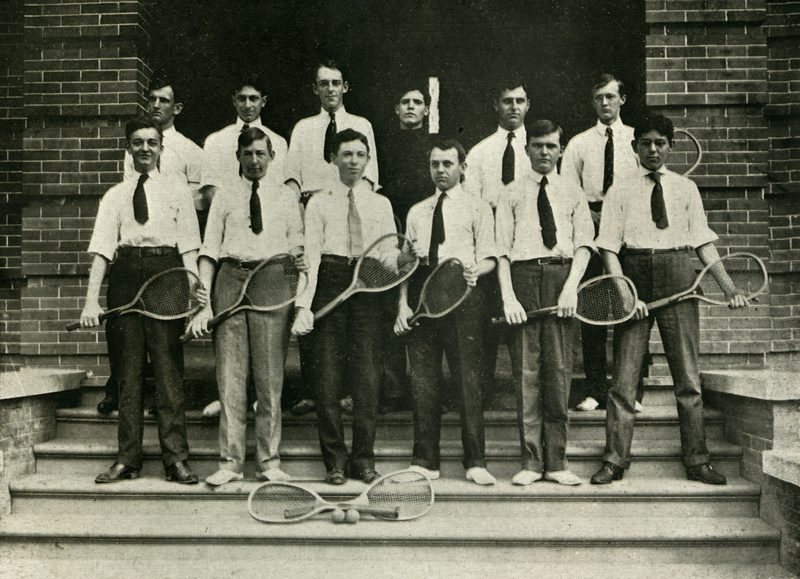 Tulane Dormitory Tennis Club, University Archives, Special Collections, Howard-Tilton Memorial Library, Tulane University, New Orleans, LA. Jesse’s legacy at Corning extended far beyond the invention of Pyrex, of course. He led Corning’s research department for years, overseeing the work of the scientists and engineers who created the colossal 200 inch disk for the Hale Telescope’s mirror, cathode ray tubes for televisions, aluminosilicate glass, and many other innovations. According to those who worked with Jesse Littleton, he encouraged a collaborative approach to research that may have been, in fact, his most lasting contribution to the R&D department at Corning. Harvey Littleton Lampworking at the June 1962 Toledo Workshop. Photograph by Robert Florian. Nils Carlson (l) and Harvey Littleton (r). Gift of Robert Florian. CMGL 1000068776. Jesse and Becky raised four children in Corning. 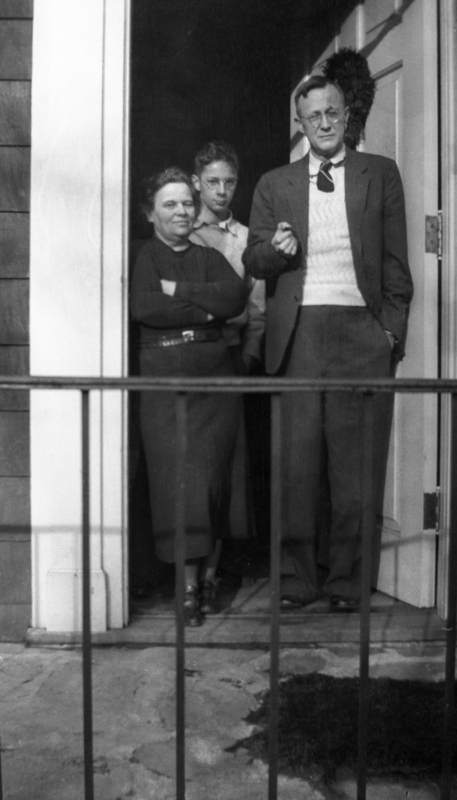 Three of the Littleton children had very successful careers in science and industry. The artist in the family, Harvey, was a pioneer in a different realm: one of the founders of the Studio Glass Movement and a household name in the world of glass art.